Unless you have been living under a rock you have noticed things are heating up in the pet food industry. Everywhere you look there’s an ad for pet food. Beneful, Friskies, Purina, Blue Buffalo etc. How do you decide what to feed your dog? What’s best? Are you paying more but getting less? Both dogs and cats are carnivore bias. Sharp teeth designed for tearing and eating meat. Meaning that, while they do have an omnivore like ability to digest carbohydrate based foods, their bodies are optimized for eating meat. Their digestive system, behavior and their teeth clearly confirm the carnivore bias. Their teeth are sharp, narrow and some are serrated. Teeth designed for killing prey, tearing flesh and slicing it into smaller pieces. Have you noticed how your dog eats his food? His mouth only opens and closes in one direction, up and down. They do not have the ability to move their jaw in such a way as to grind food and they do not have flat grinding molars. True omnivores have both canines and flat grinding molars. Have you read the ingredients? Yikes! What’s in this stuff? It’s important to READ the ingredients. 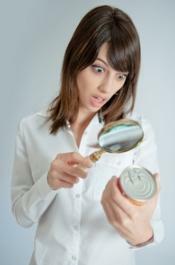 If you are feeding dry or canned what’s the first ingredient? Meat? Corn? Water sufficient for processing? Meat by product (slaughterhouse waste, what’s left over after all the prime cuts are used)? What’s the second ingredient? Corn? Wheat Gluten? Some sort of starchy vegetable? Why is it important to read the ingredients? If you are feeding a high quality dog food (one not typically found in a grocery or even pet food stores) than the first ingredient is most assuredly meat, followed by more meat ingredients, like organ meats (liver, heart, gizzard etc). If the first ingredient is a named meat “beef, chicken, lamb, bison” etc but then followed by things like corn, wheat, pearled barley, brewers rice, whole grain wheat, corn gluten meal etc, then there isn’t much meat in your dog food. Although meat is a quality item, raw meat contains up to 73% water. After cooking, most of that moisture is lost, reducing the meat content to just a fraction of its original weight. Thus, the dog food is plant based (vs protein based), mostly carbohydrates and we all know that carbs turn to sugar in the body. Is it dog food or junk food? There is also a movement towards vegan dog foods. Are you kidding me??? This it the farthest thing from what your dog was born to eat! Will they eat it? Sure, if they are hungry enough. Is it what they need? NO! We all want our pets to live as long as possible, right? And in that time, we want them to be healthy. So, it makes sense to feed them the best possible food we can afford. One that is closest to their natural ancestral diet. Heavy on the meat please. Too many carbs and your dog is not only NOT getting an optimal diet, but too many carbs can lead to your dog being overweight as well as contribute to behavioral issues. Dogs hopped up on sugar can be hyper, find it difficult to focus and settle down. 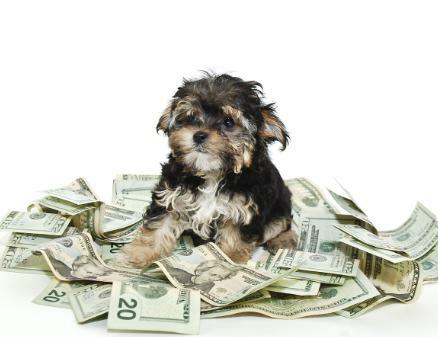 Save money by feeding a better quality dog food? Yes! than a lower quality brand when you realize the serving size needed is smaller. How? High quality foods are nutrient dense, therefore your dog doesn’t need to consume as much. Low quality foods are full of things your pet doesn’t really need. So, you may be paying the same for a low quality food because your pet is consuming more. Complete raw diets consist of the whole animal, including organ meats and bone. Another option is a Raw diet. 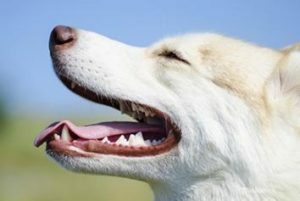 While this is typically more costly than dry or canned food it is also infinitely better for your dog. 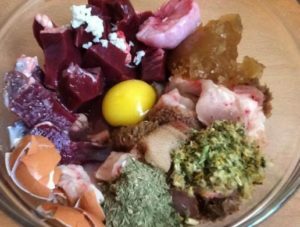 There are many prepared raw diets on the market today which are convenient in terms of preparation as well as making sure they are nutritionally balanced for your dog. It’s not as easy as just giving your dog raw chicken meat. Your dog needs the “whole animal” in terms of organ meats, bones etc to be balanced. Your dog also needs a variety of animal meats as well. There are companies who will provide “recipes’ for preparing your own nutritionally sound raw meals and companies who will ship nutritionally complete meals right to your door. There is a lot of talk about salmonella and other bacteria in raw foods that of course can make humans sick if ingested. But don’t worry, your dog’s digestive system was built to handle these and other bacteria. Remember if your dog lived on the street (like they do in many countries) they would be catching and eating live (raw) animals (as many outdoor cats do!). Just wash your hands and prep area well and you will be just fine. 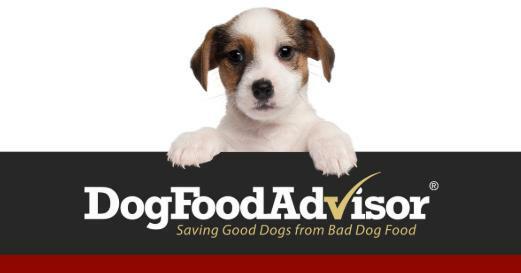 Want to know how to find the best dog foods (dry, canned and raw) on the market? Visit www.dogfoodadvisor.com . 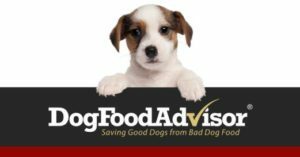 Here you will find great information, from exactly what is in each dog food, the good, bad and controversial ingredients. What those ingredients are for, protein vs fat ratio and more! 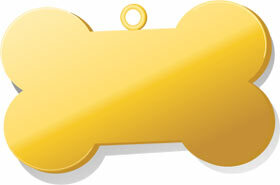 It’s also a great place to help you choose a healthy dog food because you can search foods based on their star rating. What’s the first step? Visit www.dogfoodadvisor.com and get educated. Then choose the best dog food you can afford (remember the serving sizes). Shop online. You can typically get the best prices there and if you sign up for autoship you save even more! 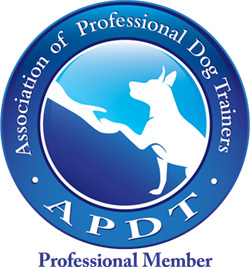 You can usually set how often you want your dog’s food to arrive and you can change or adjust as needed. There are many great places such as www.chewy.com , www.petflow.com , www.wag.com and more to find great pricing. Remember, they cut out the middle man (Petsmart, Petco etc) save you money, thus allowing you to afford to feed healthier!